MARANA IS A SHOPPING PARADISE. 1) Looking for the Best Prices? 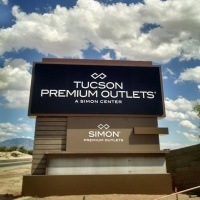 Take a look at the current Tucson Premium Outlets deals and offers here. Spend some time at Arizona Pavilions Marketplace for daily offers at Ross Dress for Less, T.J. Maxx, and Home Goods. Check out Bookman's Marana location on Ina Road near Thornydale Road. 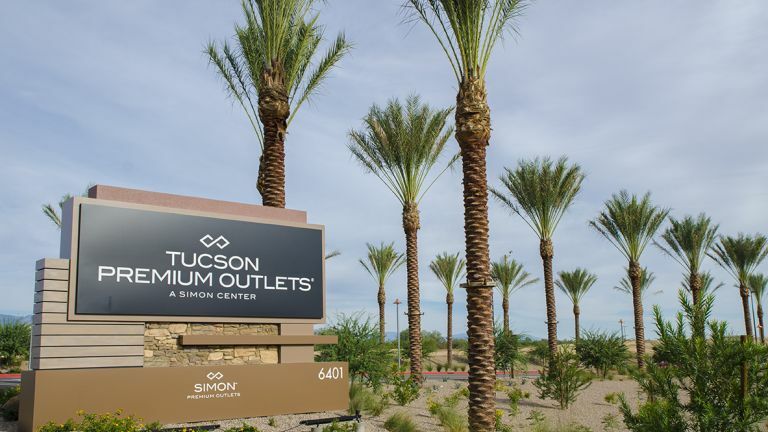 The Tucson Premium Outlets at Marana Center are conveniently located off of Interstate 10, about 20 miles northwest from downtown Tucson and 90 miles southeast of downtown Phoenix. From Interstate 10, take exit 244 for W. Twin Peaks Road and then Turn Right onto W. Twin Peaks Road and take another right turn onto W. Marana Center Drive. 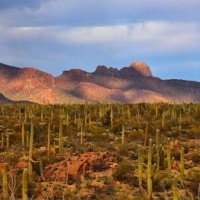 Arizona Pavilions Marketplace is just 3 miles from the Tucson Premium Outlets at Marana Center, located off of Interstate 10, one exit south of the Tucson Premium Outlets at Marana Center. 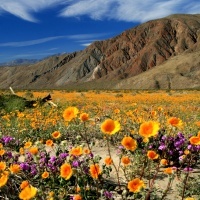 From Interstate 10, take exit 246 for Cortaro Road and turn west onto North Cortaro Road. Arizona Pavilions Marketplace extends along the south side of Cortaro Road, with easy parking in front of each store. 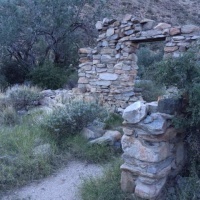 Ina Road is only 6 miles from the Tucson Mall. Bookman's and Guitar Center are two shopping destinations in the area. You may also get to the outlets on the convenient Sun Shuttle. The Tucson Premium Outlets at Marana Center has a brand new American Eagle store, Fizzy Fairy Gifts bath bomb store, and features designer and brand name goods with deep savings from retailers including Coach, Nike, J. Crew, Brooks Brothers, Saks Fifth Avenue Off 5th, Michael Kors, The Gap, Lucky Brand, Calvin Klein, Tommy Hilfiger, Converse, Disney, Forever 21, Godiva, Le Creuset, and more. With a mix of designer fashion, sportswear, children’s stores, jewelry, cosmetics, perfume, and housewares, the Tucson Premium Outlets at Marana Center is the perfect place to stop for any season, special occasion shopping, or just getting out and enjoying walking around. There are 70 stores to browse. Here’s a link to the list of the stores. 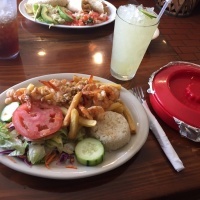 Locally-owned Mama’s Hawaiian BBQ, as well as Johnny Rockets, Orange Julius, Starbuck’s, Wetzels Pretzels, Sbarro, and Famous Wok provide convenient dining at the Tucson Premium Outlets. 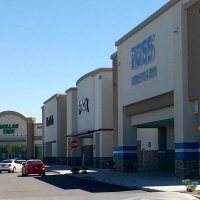 Arizona Pavilions Marketplace has shopping and entertainment in the heart of Marana. A 200,000+ square foot Walmart Super Center and 90,000 square foot Kohls Department store ensure everything from snacks to bathing suits or shorts to pool noodles are within reach! Brand new stores include: Ross Dress for Less, T.J. Maxx, Home Goods, Dollar Tree, Petco. There is also Arizona Pavilions 12 Harkins Theatre, a brand new multiplex theatre showing the latest film releases. 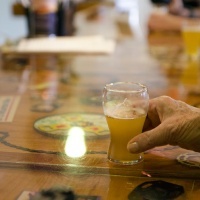 Surrounded by local family-owned eateries, such as The Screamery, the top-rated ice creamery in the region, Nana’s Kitchen Authentic Mexican Food, Cortaro Sushi, and with Asian Spice, La Olla Mexican Café, Growler’s Taphouse, and Li’l Abner’s Steak House, in the neighborhood, Arizona Pavilions Marketplace is a destination for local dining as well as shopping. 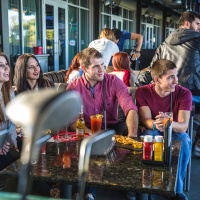 Topgolf Marana is right in the middle of Marana's shopping corridor! With active entertainment for the whole family plus food, you can shop around town and meet up here. Did you know that axe throwing has arrived? Splitting Timber Axe Throwing makes Tucson Premium Outlets more than just a shopping mall—it's now a shopping axperience. 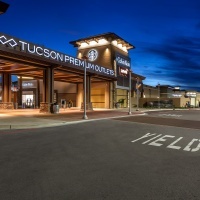 Tucson Premium Outlets offers ive music by local bands, outdoor lounging areas, kid’s play area, nursing lounges, a food court, fireplace for enjoying cool desert evenings, and plenty of device charging stations, so your loved ones can take a break and relax while you’re bargain hunting. 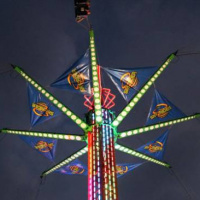 Arizona Pavilions Marketplace has plenty of family dining options plus the Arizona Pavilions 12 Harkins Theatre, whenever you need to drop, cool off, or be entertained. 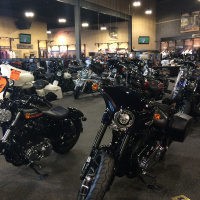 Don't miss a visit to the Marana Harley Davidson showroom. It's an experience you'll never forget. If you're looking for a motorcycle, you can find all kinds of Harley Davidson merchandise, clothing, and accessories. HMS Bikes near Arizona Pavilions Marketplace has bikes for sale, bikes for rent, and bike repair. The Hampton Inn at Marana Center has just opened across the street from the Premium Outlets at Marana Center. Make your Arizona Pavilions shopping trip into a mini-getaway. 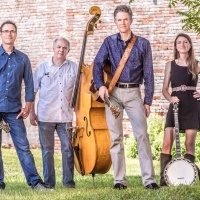 Look for places to stay on our website. Here at Discover Marana, we love experiencing this new shopping destination! 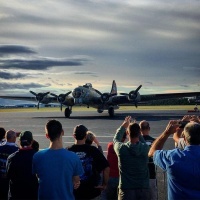 Don’t miss out on news about upcoming events and activities in Marana. 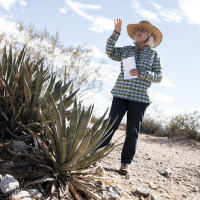 Sign up for our Discover Marana email list and we’ll share inspiring ideas for Marana adventures and vacations, plus deals and savings on lodging and activities. Click here to subscribe! 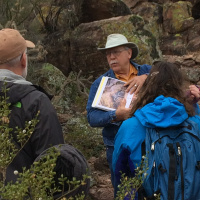 There are many ways to experience the ancient and contemporary cultures of the Southwest American Indians. Everything you need in one convenient place, to create your quality of life.